This is some of the publicity I circulated to a substantial mailing list, through payment to Jazz Promo Services, Inc. Saxophonist flautist Carol Sudhalter is pleased to announce that she has received a number of honors, grants and special performance invitations for the coming season. (Scroll to bottom for a chronological listing). As Guest Jazz Artist with the Jackson Heights Chamber Orchestra on Wednesday, May 18 at St. Joseph’s Church, Jackson Heights . To perform with her own group and guest vocalist Cynthia Holliday at the “Flatted Fifth” Jazz Series at Memorial West Church, Newark, NJ, Saturday, May 28 at 6 pm. Sudhalter was also chosen for the 4th year for the Su-Casa program (formerly known as SPARC) to do a residency in a senior center in Queens, working with senior citizens on a musical show to be performed at the end of June. The program located at Queens Community House, 108-25 62 Drive in Forest Hills will start in early March. Seniors interested in joining the class may call or write Sudhalter at 917 667 5331/sudsaxter@gmail.com to find out how to sign up. Below is Sudhalter’s chronological calendar for the upcoming months. Updates are posted regularly to her website, http://sudhalter.com. Final note: Sudhalter is seeking musicians and producers of all ages, and others related tojazz performance active in jazz in Queens now or in the past few decades, for a project in the near future involving photography and performance. Sudhalter moved to New York in 1978 to join the first all-female Latin band, ‘Latin Fever‘. 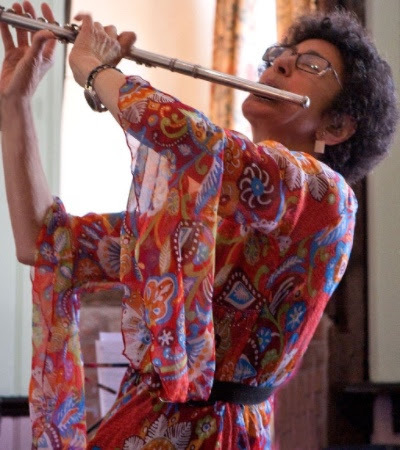 She placed 9th in Down Beat Magazine’s Jazz Reader’s Poll as Best Jazz Flutist (2012) and has been profiled in books by Leslie Gourse (Madame Jazz), W. Royal Stokes (Growing Up With Jazz), John Watson’s The Power of Jazz, and several others. You are currently browsing the Carol Sudhalter blog archives for July, 2016.